improve appearance by body contouring and face/neck rejuvenation. It can be used, together with Botox and dermal fillers, to increase facial tissue elasticity, skin tone and texture, that has been damaged by aging and the sun. The technique allows for instant revival of the entire face, neck and neckline, leaving treated areas looking and feeling healthier and firmer. It is particularly beneficial for dull skin. 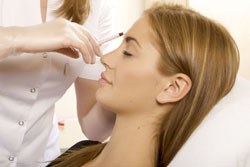 Mesotherapy is a medical technique that was originally pioneered in 1952 by Dr. Michel Pistor in France. In 1987, the French Academy of Medicine recognized Mesotherapy as a part of traditional mainstream medicine. In 1991, Dr Michel Pistor was bestowed the Legion of Honor, the highest award in France, for his innovation and contribution to the field of Medicine. Mesotherapy has been practiced by over 18,000 physicians worldwide, on a daily basis for a variety of conditions, for over 60 years. The methodology is used for Aesthetic Medicine and for Sports Medicine; It is a highly recognized treatment modality in the field of Aesthetic Medicine, but also a well-established method of treatment in France, where it is used to treat world-class athletes, for numerous musculoskeletal disorders such as tendonitis (tennis elbow), achilles tendinitis, arthritis, muscle strains. Dr. ChinQuee has trained under renowned Mesotherapy physicians on the many uses of Mesotherapy in Paris, France. She has studied one-on-one with Jaques LeCoz, MD in Paris. Dr. LeCoz is the world’s top expert and only living mesotherapy pioneer. 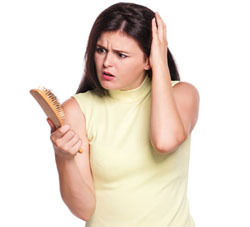 Hair thinning or hair loss may occur as a natural part of aging, due to medications, poor diet (lack of important nutrients in the diet), heredity, male pattern baldness, hormonal changes associated with pregnancy, menopausal changes, emotional stress, illness, injury, or due to a disease. Mesotherapy as a hair regrowth treatment involves a specialized cocktail of vitamins and minerals injected directly into the scalp, to nourish and stimulate the hair follicle’s natural regeneration process. This works to strengthen and energize the hair follicles. 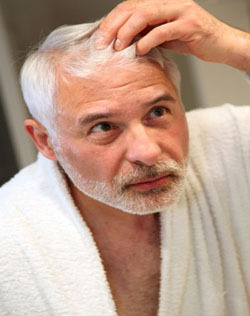 It works extremely well in combination with carboxytherapy for hair loss. Carboxytherapy works to improve circulation by bringing more oxygen to the scalp. Better circulation allows better nourishment for the hair follicles. Please call to schedule a consultation with Dr. ChinQuee to see what treatment best suits your needs.